The Applied Bank Secured Visa Card is a secured card for people who are desperate to get a credit card and have nowhere else to turn. This secured credit card turns the expression "You get what you pay for" on its head. In this case, you pay a whole lot but don't get a whole lot in return. While it's probably easy to get approved for the Applied Bank Secured Visa card (since there's no credit check) it will cost you dearly to get it. Actually, the longer you have it, the more expensive it will become. There's no application or set-up fee, but there is a $50 annual fee the first year. Not outrageous, but not inexpensive either. But after the first year, watch out: The annual fee is dropped, replaced by a monthly fee of $9.95 - or almost $120 a year! The bank also charges $100 each time your credit limit is increased or your account is upgraded. And it's not like you get a lot for this. Credit limits, which are based on the size of the security deposit you put up, are outrageously small - just $200 to $500, easily the smallest we've seen. The bank doesn't pay interest on your deposit either. The only positive attribute is the low interest rate, which doesn't go up even if you're late (although a late fee will apply). But even that is somewhat mitigated by the lack of a grace period; most other cards give you at least 25 days to pay your bill. There are other secured cards on the market with lower rates. 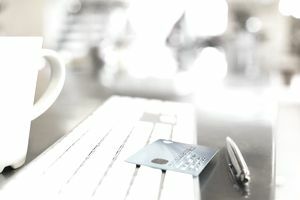 Unless you absolutely must have a credit card and this is the only card you can qualify for, you should avoid this card.